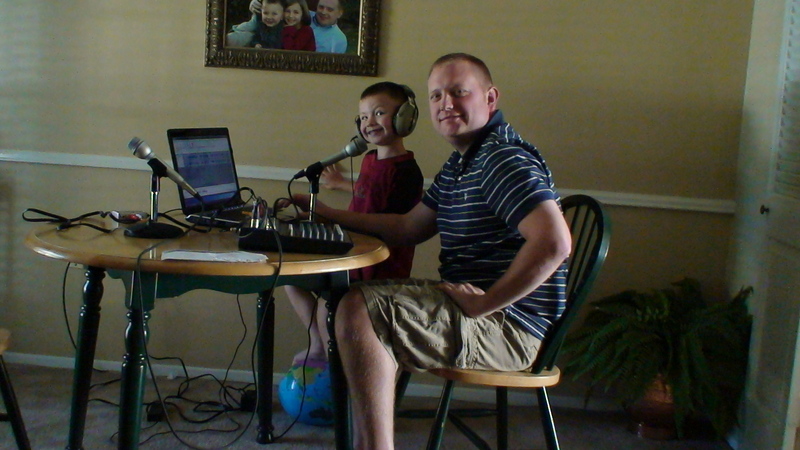 Big thanks to my oldest son, Brayton for helping me warm up for our new Alethia interview series. We will be interviewing church leaders, pastors, seminary profs, and worship leader types to plumb their brains for insight and good counsel for pastors and future pastors. Last week we had the joy of interviewing Tommy Dahn, pastor of Providence Baptist Church in Pasadena TX. The week before last I interviewed two of our single adults who recently attended the Desiring God National Conference and a Ligonier Regional Conference. Both of these interviews should be posted on our Alethia page next week. Don’t miss them! All of this was made possible by Brayton’s help and feedback on my interviewing skills. Thanks Bray Bray! Scattered about my desk right now are about fifteen Sugar-Free Ricola cough drop wrappers, and a lukewarm cup of some grassy herbal tea. I’ve lost my voice. Again. This has happened before, several times. The weather changes. I’m over-commanding the chords. And then it’s gone. Millennia ago, a blessed priest named Zechariah faced a far more terrifying round of laryngitis. When an angelic being appears to him in the temple, Zechariah questioned him regarding the message of a son named John who would soon be born to the priest and his wife Elizabeth. The angel removes the priest’s voice. When Zechariah leaves the temple, the people gathered around, but he couldn’t teach, couldn’t explain. Instead, “he kept making signs to them and remained mute” (Luke 1:22). Recently, Mark Dever has interviewed David Powlison on his life, view of counseling and book suggestions for pastors. –quoted from the dust-jacket of Ian H. Murray’s D. Martyn Lloyd-Jones, The Fight of Faith, 1939-1981, Edinburgh: Banner of Truth, 1990. GB: What is your opinion of the finished product? Schreiner: I am very pleased with it. With the maps and charts and all the color, it is beautifully executed. I think it is very readable. It is very pleasant to the eye and most importantly, I think the content is excellent. GB: What aspect of this study Bible do you think will do the most to help Christians to understand their Bibles more accurately? Schreiner: I think the most helpful thing is the notes. The ordinary Bible reader often needs help understanding, so as you go chapter-by-chapter, verse-by-verse, the notes are brief but substantive. A lot of readers don’t have time to read long commentaries, but with this Bible you get pithy, accurate, theologically-faithful notes that can help a reader grasp the content of the Scriptures, in a relatively short amount of time. It functions as a sort of mini-commentary. At my church, I have the honor of walking with a few men, who are called by God into ministy and interested in being more equipped for their task in the kingdom. In our internship program this year we are reading Bob Kauflin’s new book, Worship Matters. You can see all of the recently posted clips by Bob here. This video will give you a little glimpse of what it means to “create” the universe. In my sermon on this text, this video was very helpful. I can remember the day that I graduated from seminary like it was yesterday (May 06!). I can remember all the pictures and the handshakes…the applause and the feeling of relief. I even remember much of the sermon preached by Paige Patterson from 1 Peter 5: 1-4… “Shepherd the flock of God among you, exercising oversight not under compulsion but voluntarily, according to the will of God; and not for sordid gain, but with eagerness…not lording it over those allotted to your charge…but proving to be examples to the flock, and when the Chief Shepherd appears, you will receive the unfading crown of glory! I was so juiced to go out and lay my life down for people! It was a wonderful day!! And I am extremely thankful for my time at Seminary, although I don’t think it was the most influential time in my life in regards to ministry. *I owe this illustration to Derek Thomas and a sermon that he preached on Acts 4:23-31 at FPC Jackson, MS. It is not necessary for relevance. And it is a deadly place to rest the mind. Its pervasive banality, sexual innuendo, and God-ignoring values have no ennobling effects on the preacher’s soul. It kills the spirit. It drives God away. It quenches prayer. It blanks out the Bible. It cheapens the soul. It destroys spiritual power. It defiles almost everything. I have taught and preached for twenty years now and never owned a television. It is unnecessary for most of you, and it is spiritually deadly for all of you.